Listener Anna wrote concerning reporter Vince Winkel’s story about the dedication of a plaque on Confederate Memorial Day. I’ll quote it at some length: “…as I was driving my car this week, I am quite sure that the drivers around me were wondering who this mad woman was who was yelling back at the radio. I yelled because I was incensed by what I heard, in particular by [the] lack of follow up questioning to the assertions made by the members of the Daughters of the Confederacy. …my follow up question would have been this, "Are you suggesting that just because someone fights and dies for their cause they are to be celebrated?" Should we celebrate the Nazis? They too were willing to die for their cause. Should we celebrate ISIS suicide bombers? They are willing to die for their cause." I would have liked to hear the answer to that. The civil war was fought by the South to preserve and defend the institution of slavery. Both your reporter and the people featured in the piece were willing to gloss over this reality and let stand, with no pushback, the women's assertions that commitment to the cause is a reason to celebrate soldiers, no matter what the cause was. I am severely disappointed that WHQR's coverage failed to engage an expert who might look at history with a more critical eye, and that it did not include even a simple follow up questions to an interviewee who was glorifying men and women who fought to uphold slavery. This entire piece is an example of white America's willful disregard for the realities of history when it comes to the role of white supremacy in building the America we have today. The people featured in the piece clearly refuse to acknowledge exactly what it was their great granddaddies were fighting for, and Mr. Winkel failed to push them to do so. I’ve quoted this at length because I think it raises an important issue. And my reaction was similar in some ways – it was shocking to hear – but I actually was mentally giving Vince a “Well Done”. The sentiment expressed was not unheard-of in this part of the world; what is unusual is someone saying it into a microphone. The time constraints in that segment could have made counter-arguments difficult, even distracting. That’s why we started CoastLine three years ago – to make deeper dives into at times difficult questions. For example, we recently have done 2 hours on illegal immigration, Confederate statues in Southern towns, how houses of worship handle difficult political issues, and other topics. But we think it’s time to do more. 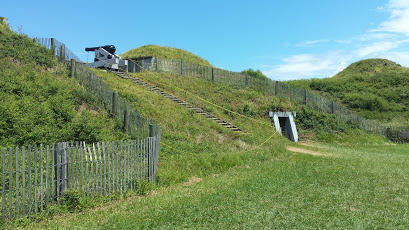 In the coming weeks you’ll see a series of explorations on Coastline, under the heading “Is the Civil War Really Over?” Listen to WHQR or check our website or smartphone app for details. I’m in love with this station! I recommend to everyone! News all day and great music at night! Can't beat it. My favorite radio station. It's very good for local happenings and national news. We’d love to hear from you on Friday Feedback. You can send an email message to feedback-at-whqr-dot-org, or you can leave a call at 910-292-9477. Download the new WHQR smartphone app for iPhone and Android. And as always, thanks for your Feedback. Confederate Memorial Day is a state holiday in North Carolina, officially observed on May 10. Six other states celebrate the holiday. It’s not without controversy. In New Orleans, Confederate monuments are now being removed from public places. 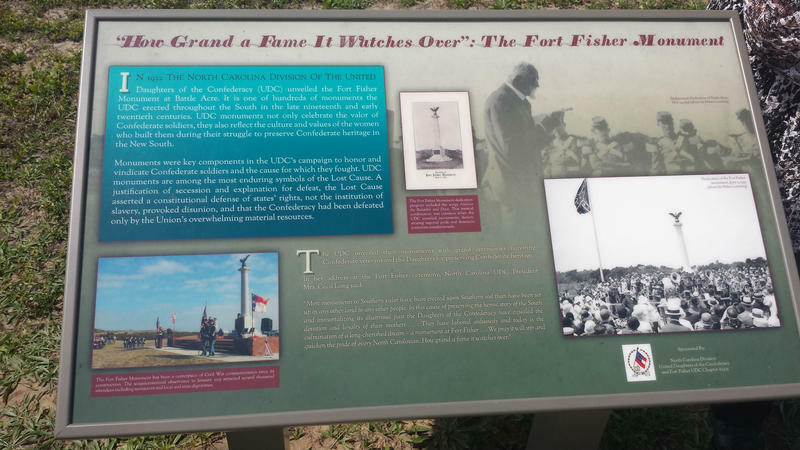 Meanwhile, at Fort Fisher, a new interpretive marker was just dedicated next to the Confederate Monument. The service was more about men … than soldiers. On the corner of Market and Third Streets, at the entrance to downtown Wilmington, there is a statue of George Davis. He was the last Confederate Attorney General. Third Street near Dock boasts a monument to soldiers of the Confederacy. The StarNews recently wrote about streets in Wilmington’s Pine Valley neighborhood that are named after Confederate officers. The namesakes include General Robert E. Lee, Lieutenant General Nathan Bedford Forrest, John D. Barry. 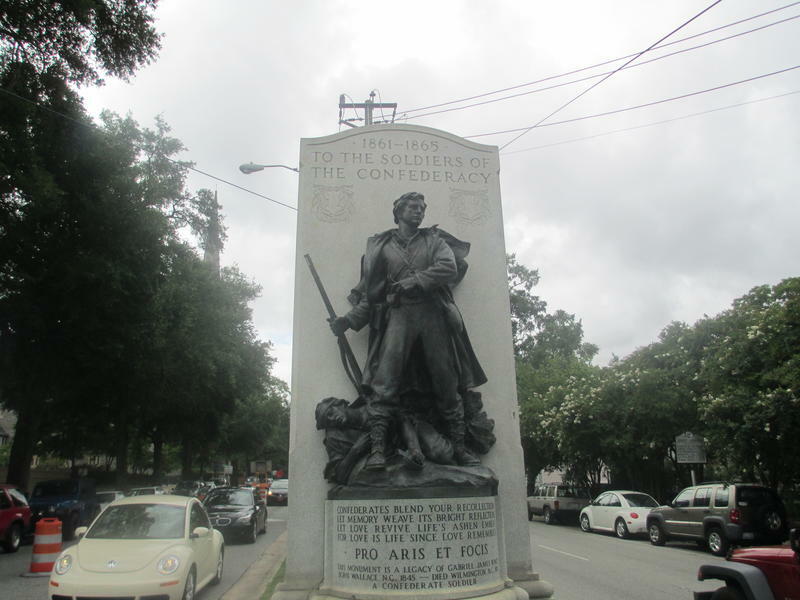 When the Confederate flag was removed from the grounds of the South Carolina Statehouse last year, it ignited a discussion in the American South about the role of Confederate memorialization. But while there may be local discussions about removing Confederate monuments, it would take an act of North Carolina’s General Assembly to do so.